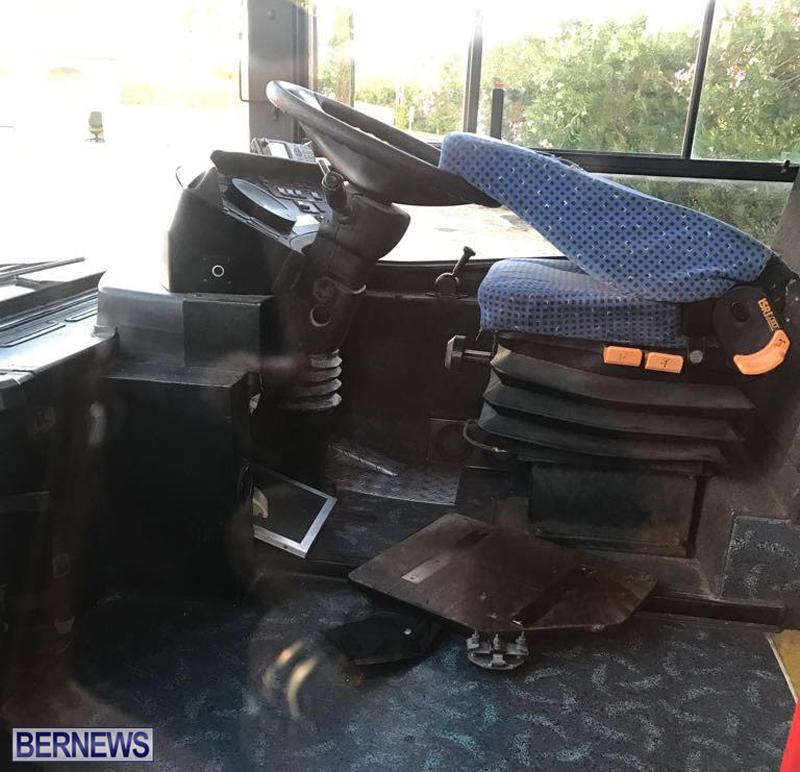 [Updated] Police are investigating theft from buses at the St. George’s bus terminal, with cash having been stolen from ten public buses at that location overnight. 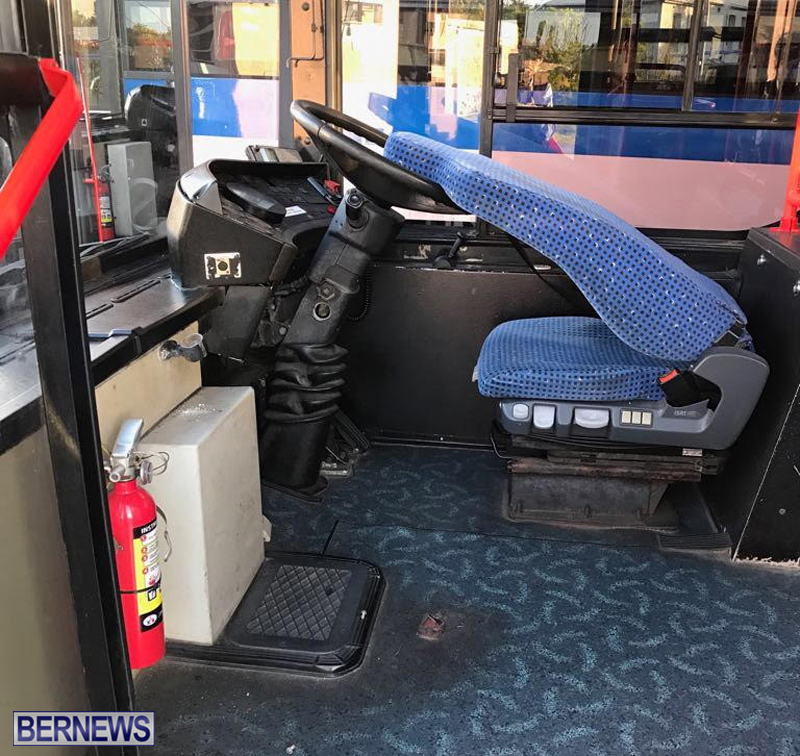 A police spokesperson said, “Around 6:30am Monday, April 10th police officers attended a reported theft from buses at the St. George’s bus terminal on Old Military Road in St. George’s. “It appears that an unknown quantity of cash was removed from ten public buses at that location overnight. 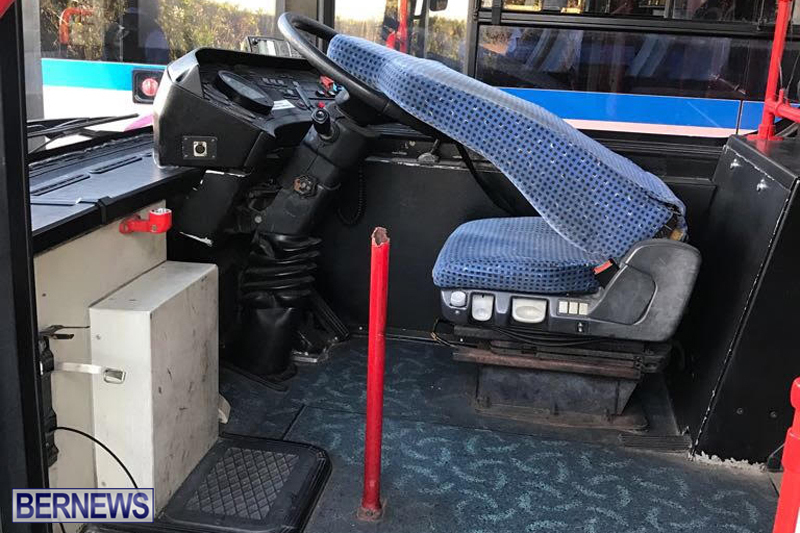 Update 5.38pm: A Government spokesperson said, “The Department of Public Transportation can confirm that it is currently assisting Police in the investigation of a number of fare vaults which were stolen from parked buses in at the St. George’s Depot. 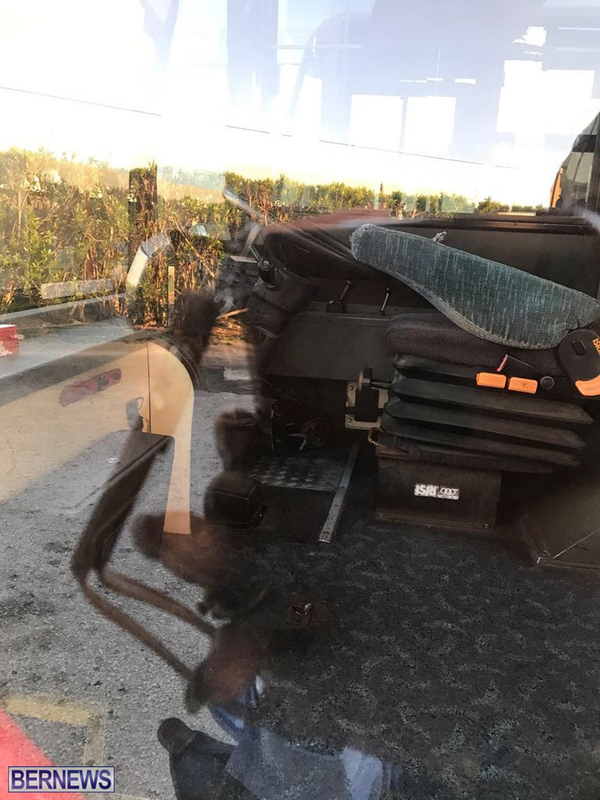 “The theft took place earlier this morning [April 10], and as a result of the incident, there was a delay in commuter bus service coming out of the east end. “The DPT takes this opportunity to apologise for any inconvenience caused to passengers this morning. This has happened before so why re they still leaving money in buses overnight? what idiot leaves money in unattended busses? Opps now the OBA will require government workers to take more furlough days since we only have money for America’s Cup. No wait a minute this is an election year everything will be ok.
How do we even know there was money in them? I mean not like the idiots stuck in the middle of summer where the taking could have been higher so we cannot assume that they even checked there was money inside before they committed the crime. I also doubt the culprit would have stolen 10 canisters if they were all empty. Plus de $13 Million for buses that we sent and de guy vanished. Why do they leave cash in the buses? Previously it was reported that the cash boxes were made removable so they would not be left in the bus. What happened? Someone in senior management should have to answer for this! If there were police stationed in the town, we may’ve been able to move on this a bit quicker. I think it’s time to move to a cashless system like a metro card or an Oyster card. Accountability and responsibility do not apply when decisions are made. Find a few capable people….please. A metro bus pass would be ideal, let,s get it done. I don,t know how long it will take, the experts need to speak to this. How do we handle folks who seldom catch the bus. 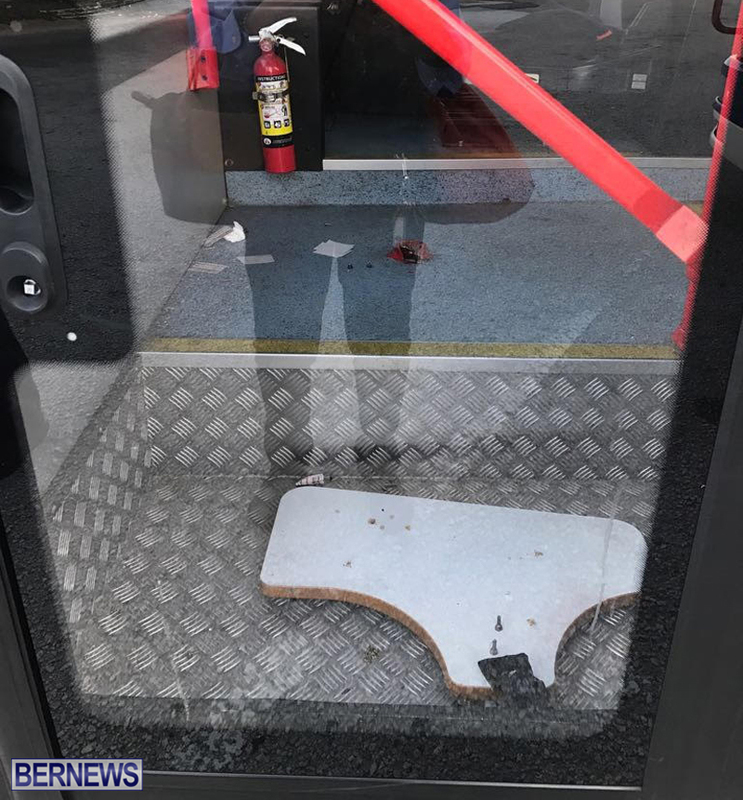 A monthly pass is 69 dollars….There were suppose to be cameras on thes e buses..and what happen to cctv…are not these buses worth a $100,000.00 each, suppose the culprits had smashed windows, slashed tires, broken headlights. Would a proper security system cost $5,000 to $8,000. It would be somewhat difficult to physically keep an eye on our schools and other public buildings, thus we need the cameras and intruder alert systems, in particular during the hours of darkness.